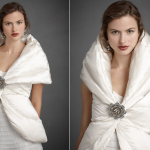 This bolero can be bride accessory with wedding dress.You can use evening clothes.Very soft, light, elegant and stunning.short pile fur bridal bolerois the ultimate in wedding day luxury. 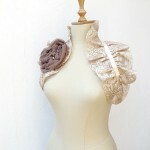 You will look and feel wonderful in this sumptuous creamy fur bolero. 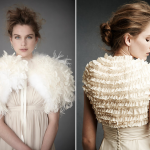 Our bolero style is designed to fit on the shoulders, for those who require more cover than the original shrug style provides.